We are recognized since then in the market a Manufacturer, Exporter, Wholesaler, Distributor and Supplier. We are a prominent manufacturer, exporter, trader and supplier of pharmaceutical products, Pharmaceutical syrups. Some of our products categories are Antimalarials, Antibiotics, Injectables. We, M.M. 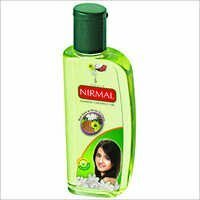 Ayurvedic (P) Ltd., were established in the year 2006 as an ISO 9001:2008 certified manufacturer of Ayurvedic Products like Ayurvedic Hair Oil, Ayurvedic Herbal Hair Oil. Send Inquiry 100ml Ayukuf Cough SyrupBELOFTE BIOCARE PVT. LTD. Looking for Ayurvedic Medicines & Products ?